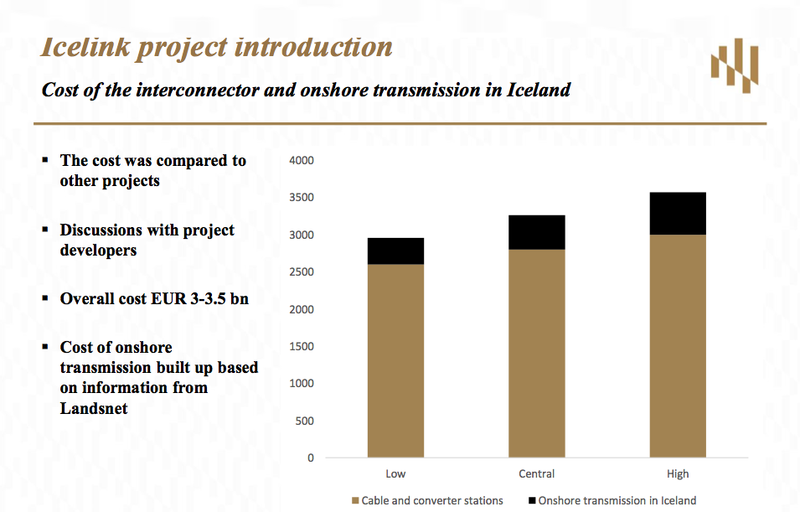 According to a new report by Kvika Bank and Pöyry, prepared for the Icelandic Ministry of industries and Innovation, a subsea power cable between Iceland and the United Kingdom (UK) will cost EUR 2.8 billion (USD 3.1 billion). This central cost scenario includes the 1,200 km long cable with a capacity of 1,000 MW, and the converter stations at both ends of the cable. 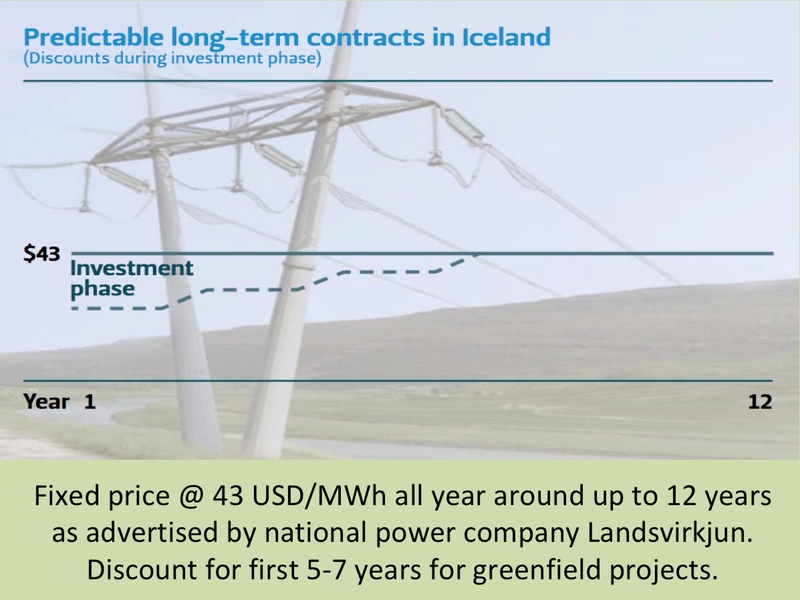 When adding the onshore transmission installations needed in Iceland for connecting the cable to the power system, the total cost (central scenario) will be close to EUR 3.5 billion (USD 3.9 billion). The report and additional material on the IceLink-interconnector can be downloaded from the Ministry’s website (the report is in Icelandic only). Note that all cost figures quoted in this article refer to the report’s central export scenario (there are several other scenarios, including a smaller cable of 800 MW). To realize the project, it will be necessary for the British government to make a commitment of a minimum strike price of approximately 96-99 GBP/MWh (close to 130 USD/MWh). Such a strike price would be quite similar to the strike price for new nuclear energy in the UK (as explained on the website of the UK government). 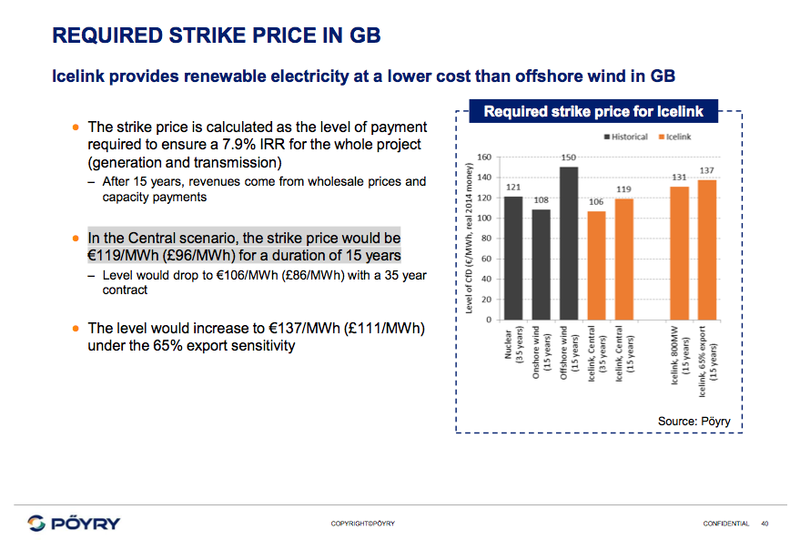 And it would be substantially lower than recently agreed strike prices for new offshore wind power. Now it has to be seen if the UK government wishes to pay GBP 115-120 for megawatt-hour of offshore wind power generated in British waters, or pay GBP 96-99 GBP for Icelandic renewable energy. It should be noted that most of Iceland’s generation is and will be produced by hydropower and geothermal power (wind power in Iceland will increase but still be fairly small share of the total generation). This offers IceLink the possibility of much more flexibility than new British offshore wind power does. We, here at Askja Energy Partners, will soon be explaining further how the Icelandic power for IceLink will be generated. Stay tuned!